Here is the latex code corresponding to the equations above. Use QuickLatex to edit mathematical expressions. You mentioned in the article how to use latex syntax but not any mention is it core feature or some plugins should be installed before using it. 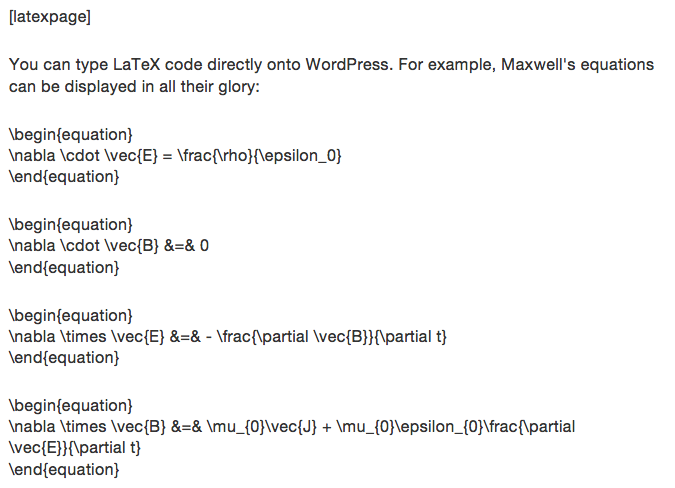 For example, I found the article about WordPress and MathJax integration but the syntax is different than your example.